After disembarking their ocean liner at Alexandria, the 19th-century tourist would board a train to Cairo where they would hire a boat at the port of Bulaq. They would then make their way in a leisurely fashion down the Nile stopping off at each archaeological site along the way. 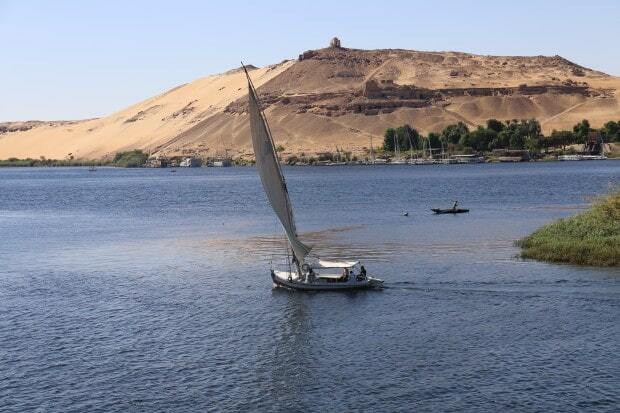 The journey would take about 10 days, ending at Aswan, where a cataract rendered any further progress south impossible. That same journey can be made again today and remains by far the best way to experience the country. Today it’s more typical to book a 4 night cruise which stops at major monuments in Upper Egypt as you putter up the river from Luxor to Aswan. 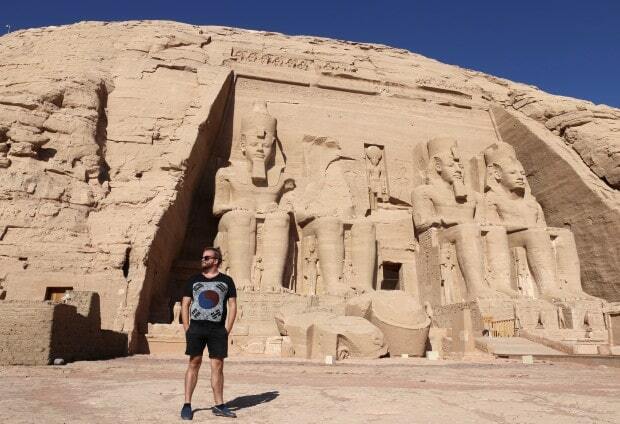 My week long adventure from Luxor to Aswan was organized by the local experts at Memphis Tours. Their team met me at the Luxor Airport upon arrival from Cairo and drove me to the luxurious Sonesta St George which would be my floating home-sweet-home for the remainder of the week. Each morning I was met by a local Egyptologist who would act as my private guide for each excursion on the itinerary. Size: super thin and packed full of useful quick tips. Easily slips into your pocket while wandering around a tomb or temple. Easy to Use: each of the chapters lists the Top 10 things you should experience at a particular attraction so if you’re time crunched or don’t want to miss out on exploring a temple’s secret passageway it’s an invaluable resource. Includes Map: in the books back pocket you’ll find a detachable waterproof map which comes in handy when you are heading out late at night in Cairo or are exploring a small region like the Valley of the Kings for a few hours. 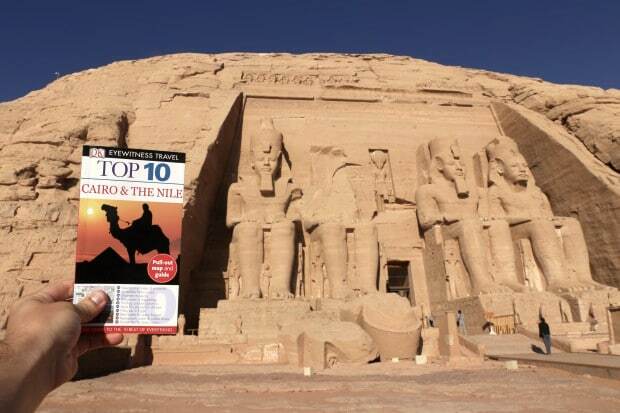 Great Top 10 Lists: the first few chapters of the book are dedicated to the Top 10 most visited attractions along the Nile while the remaining are niche lists which are handy for those who have unique interests. Examples include Ancient Egyptian Culture and Myths, Milestones in Egyptology, Historic Hotels and Egyptian Dishes. Insider Tips: the guide is full of useful insider tips and tricks and answers a lot of great questions you might not even think to ask. Visit the Temple of Hatshepsut in the morning as their is very little shade on site which makes an afternoon visit challenging in the desert heat. When booking a Nile Cruise all meals are included in the cost of the package but alcoholic drinks are put on a tab settled at checkout. A friendly reminder to dress modestly when visiting a mosque. Tourism to Egypt has significantly dropped since the Revolution a few years ago. My guide told me that before the political turmoil the Nile used to have over 300 boats taking passengers from Luxor to Aswan. Today there are 30 to 60 boats cruising along the river, a dramatic drop. Each boat has a maximum capacity of approximately 100 guests (give or take) so I was surprised when there were only 21 tourists on my departure. Expect discounted cruises and star attractions that were once described as overrun by tourists that today you can blissfully breeze through without the stress of crowds. 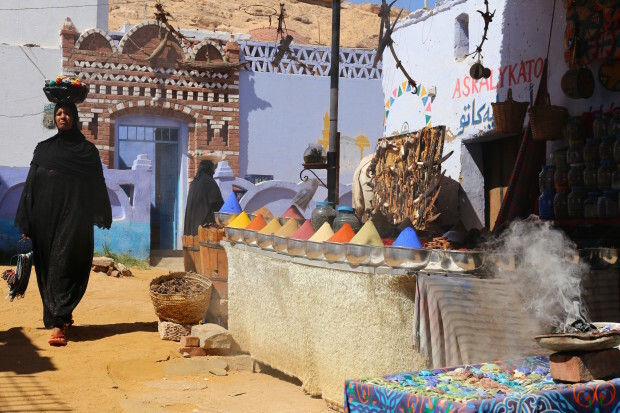 A majority of the Egyptian population rely on tourism to earn a living and feed their families. Remember your tourist dollars spent here have a positive economic impact. If there has ever been a time to visit Egypt it’s now! 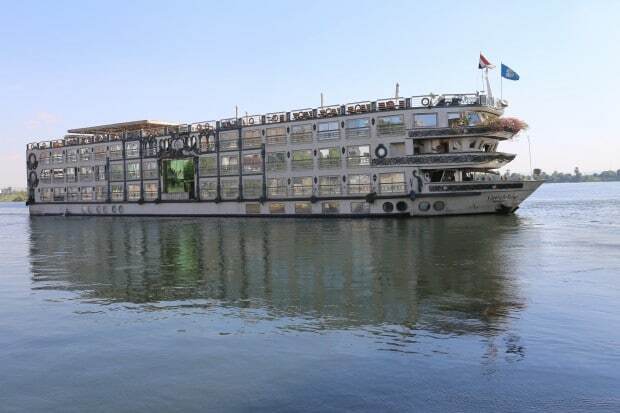 One of the Nile’s most luxurious floating hotels is the Sonesta St George. 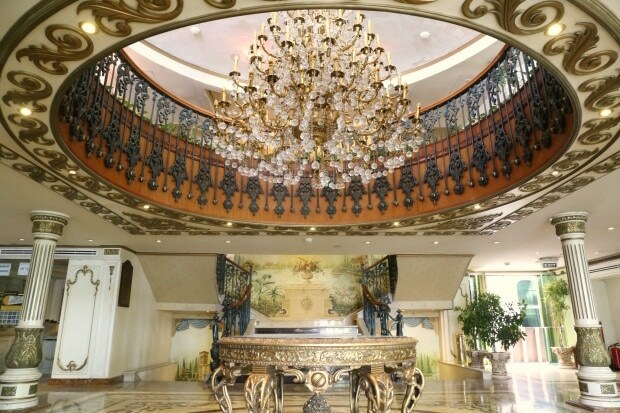 Guests arrive to find a stunning chandelier dangling over the marble floored lobby. There’s a spacious lounge just off the lobby featuring plush couches, Baroque sculpture and bar. Most guests spend their free time on the top deck which is separated into two space: a breezy al fresco cafe and lounge chair lined pool. Guest accommodation can be found after tip toeing up the staircase to the 2nd and 3rd floors. 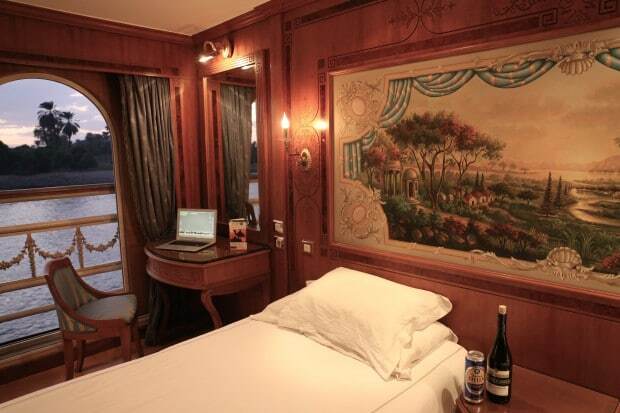 My suite featured charming wooden walls, hand painted landscape which hung over two twin beds, work desk with gorgeous views of the Nile below and a bathroom featuring hardwood floors and shower outfitted with jacuzzi jets for those who find bliss in the bath. 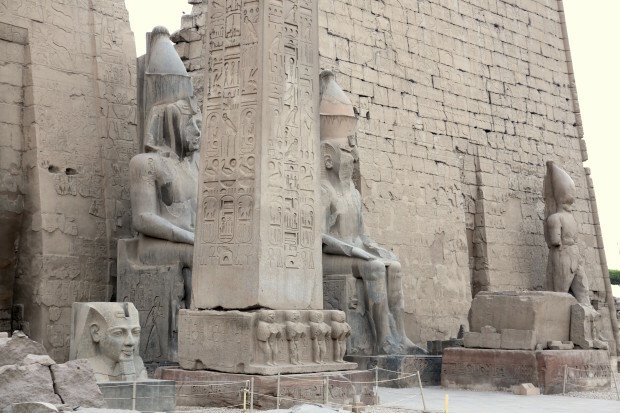 Even more so than the Pyramids of Giza, Karnak is Egypt’s most important Pharaonic site. 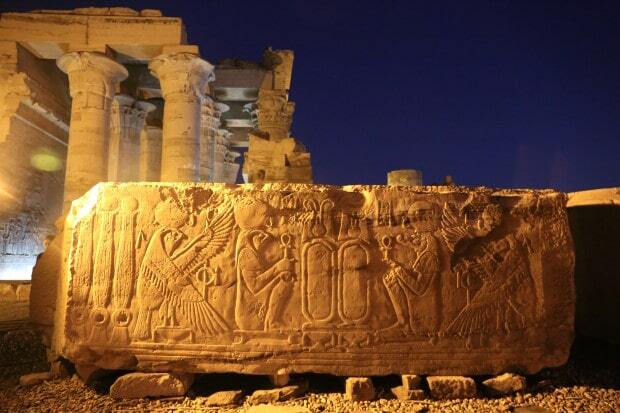 Throughout the Middle and New Kingdom eras, when ancient Egypt was at its pinnacle, Karnak was the country’s powerbase. It was the home of the gods and the seat of the pharaoh and the priestly ruling caste. For over 1,300 years the complex was constantly expanded, and its scale is immense, incorporating countless courts, halls and temples. 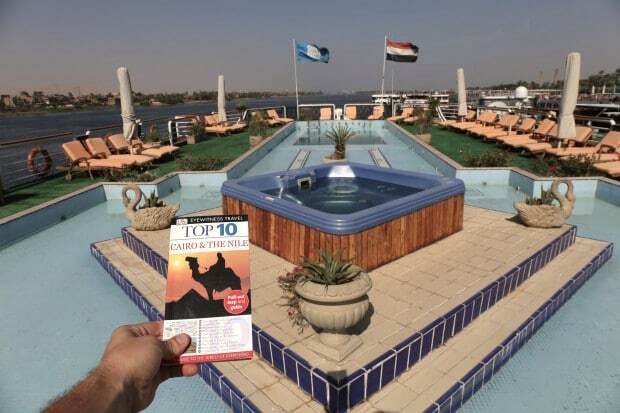 Most Nile Cruises begin in Luxor with a first stop at Egypt’s most awe inspiring ruin. 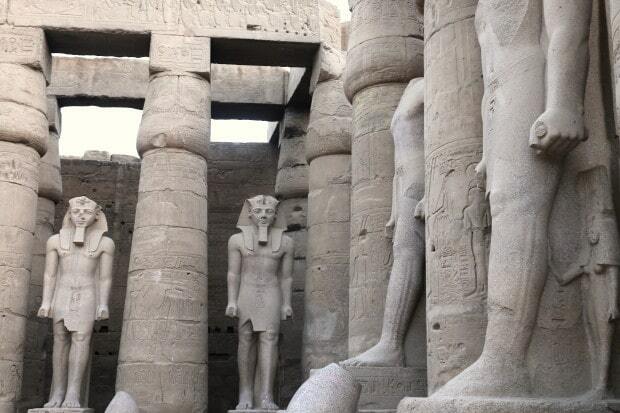 Set close to the bank of the Nile and in the centre of the modern town, Luxor Temple is quite literally unmissable. 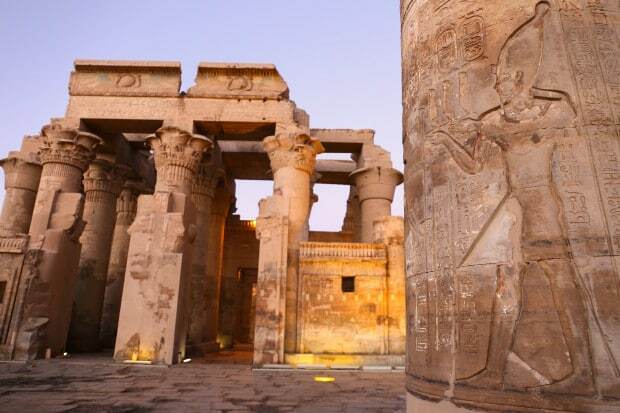 It is an elegant, compact complex, as unlike Karnak, it is largely the work of a single pharaoh, Amenhotep III, with just a few additions made during the reign of Ramses II. Beyond the entrance, the Court of Ramses II has a double row of papyrus-bud columns, interspersed with more statues of Ramses, making one feel as though they are standing among an army frozen in time. 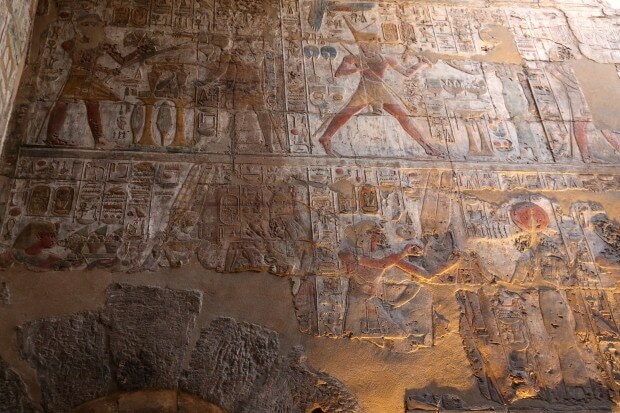 As one explores the back of the temple its hard not to be gobsmacked by the coloured hieroglyphs which adorn the walls. 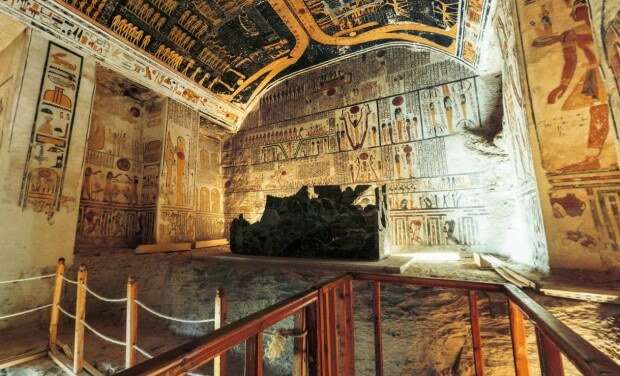 During the greatest period of ancient Egyptian history almost every pharaoh was burred in the Valley of the Kings via tombs hewn into the rock and decorated with extraordinary art. 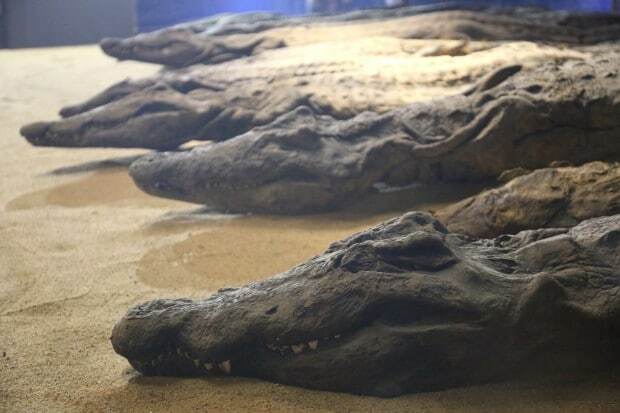 To date, 64 tombs have been discovered and there may still be more to come, making this the richest archaeological site on earth. There are always three tombs open to the public and you’ll have the opportunity to explore whichever spaces are not currently closed for archaeological research. During my visit King Tut’s Tomb, arguably the most famous, was closed (they suspect their might be a secret chamber leading to another tomb and are using specialized robots to locate a mysterious second chamber). The numbers assigned to the tombs represent the order in which they were discovered. I had the opportunity to visit Tomb 8 (Merneptah), Tomb 2 (Ramses IV) and Tomb 9 (Ramses VI). Visitors arrive at each tomb underwhelmed by the simple hole in the wall entrance but are quickly gobsmacked after tip toeing inside. Perfectly chiseled hieroglyphs, spectacular coloured murals and massive granite sarcophagus make one feel as though they are on the set of Indian Jones. The Nile River romances hearts the most before the dinner hour as the sun splashes across the horizon. After spending each busy day hiking around temples and tombs in the desert heat there’s nothing quite like enjoying a hot cup of tea while the warmth of the colour wheel spins through breezy palms and Muslim call to prayer soars through the sky. Situated between Luxor and Aswan, the Temple of Horus at Edfu dates from 237 BC, when Egypt was ruled by the successors of Alexander the Great. It is the first stop on Nile cruise itineraries and known as the largest and best preserved Graeco-Roman temple in Egypt. Edfu is known as “the city of horses” and after hopping off the Sonesta St George in the morning I was greeted at the riverbank by a string of horse drawn chariots. Our ship washed up to shore just as the Muslim call to prayer swooned across the desert. Overlooking the Nile, Kom Ombo is a dual temple on a symmetrical plan, jointly dedicated to the falcon god Horus and crocodile god Sobek. The last stop on my epic Egyptian cruise was the picturesque town of Aswan which sits overlooking Lake Nasser. Aswan’s most popular attraction is Philae, considered the most beautiful of all Egypt’s temples, thanks to its location. She sits on an island plopped in the middle of the Nile, reached only by small motorboat. The Ptolemaic (Graeco-Roman) era temple is devoted to Isis, whose cult was to survive into early Christian times. The city’s romantic river life constantly spins around the tiny isle making a stroll in the early morning a magical one. 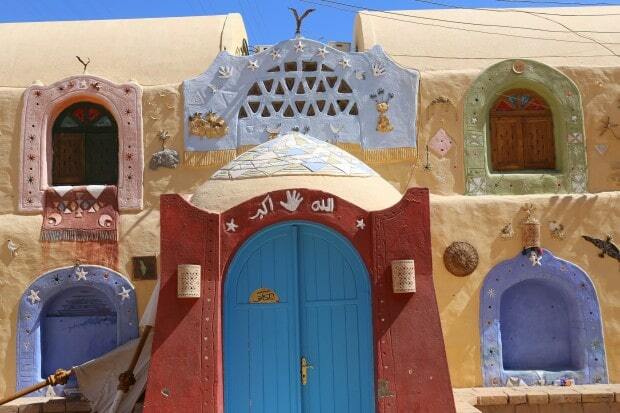 Aswan, Egypt’s Southernmost City was an important garrison town guarding the frontier in ancient times. It has also always been a major trading post for goods arriving from Africa. Even today the town feels more “African” than Middle Eastern, in part due to the darker skin of many of its inhabitants, who are Nubians rather than Arabs. From the shores of Aswan enjoy a scenic boat ride along the Nile and 30 minutes later you’ll find yourself at Garb Sohail Nubian Village. 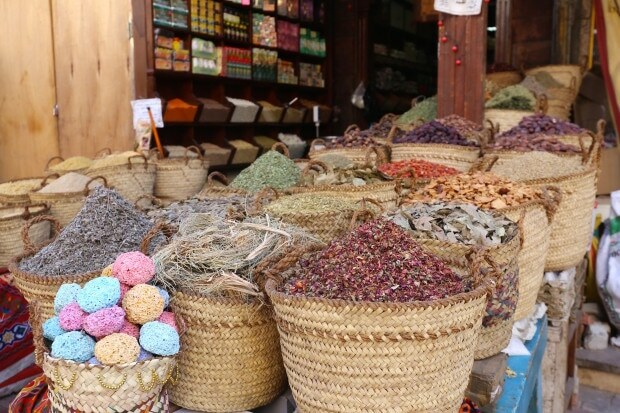 Sniff fragrant spices, shop for local arts & crafts, ride a camel and photograph traditional multi-coloured domed architecture which splashes across the sandy landscape. Sail along the Nile River at sunset on an old school Felucca sailboat while sipping Arabic coffee and watching your hair dance along the horizon as the wind whistles from bow to stern. 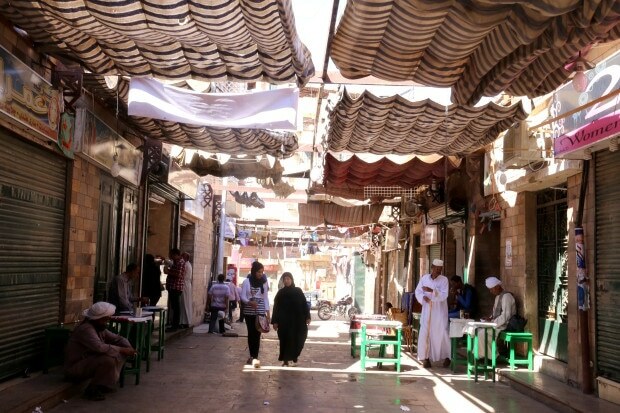 Filling one long street that runs parallel to the riverside, Aswan’s souq is the best in Egypt outside of Cairo. It is especially good for spices and dyes. Look out for dried hibiscus, boiled to make the sweet drink karkade. Locals visit the bustling market on the daily to pick up meat from the butcher, fruit and vegetables from local farmers and fresh eggs from clucking hens. You can also buy Nubian jewellery, scarves, embroidered galtbiyyas and woven baskets. Happy haggling! 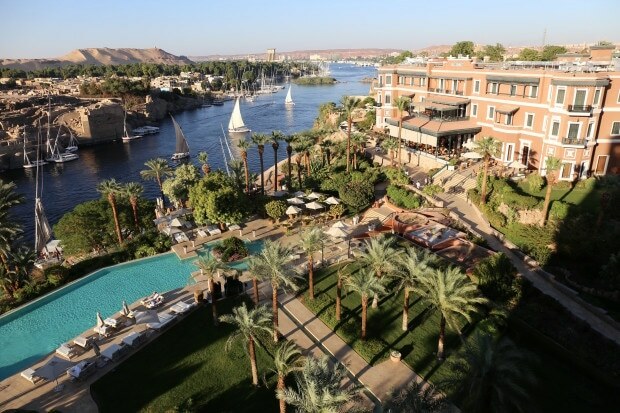 All Nile Cruises end in Aswan so if you’re looking to extend your stay be sure to pop by one of Egypt’s most storied luxury hotels, the Sofitel Legend Old Cataract. 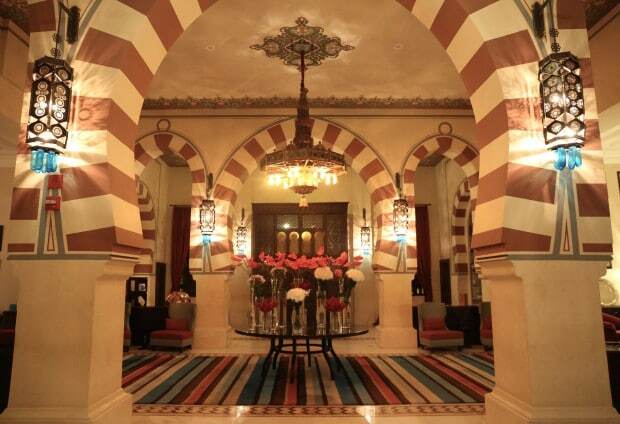 It’s Aswan’s grand old hotel, built in 1899 with an interior executed in a beautiful neo-Islamic style, on the finest site in all of Egypt, overlooking the first cataract of the Nile. The hotel is located in a 19th-century Victorian palace which rises grandly from a pink granite shelf at the edge of the Nubian Desert. With views of Elephantine Island, this stylish property blends Pharaonic treasures with French art de recevoir. Discover sophisticated interiors by Sybille de Margerie in the historic Palace a world of Moorish arches ruby red chandeliers plush Persian carpets soft armchairs and hand-carved furnishings. 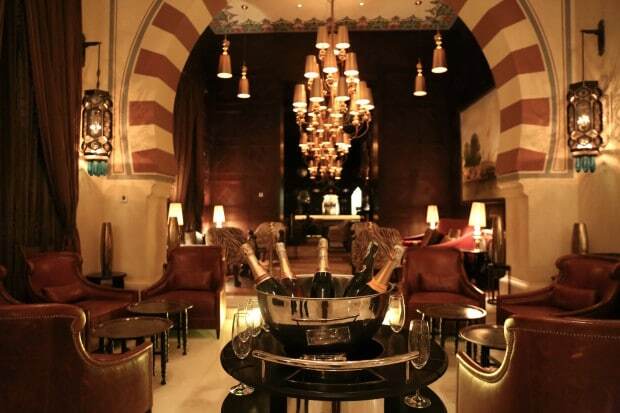 Or step into 21st-century Egypt with the Nile Wings contemporary reinterpretation of traditional codes. I spent my last night in Egypt sleeping in one of the Old Cataract’s posh Nile Suites (which sells for a humble $4000 USD a night). I snapped the photo above from my balcony and do believe it may be one of the most stunning views I’ve ever seen. Sipping a wee cup of espresso while sailboats swerve to and fro…waiting patiently for the sunset to romance me! 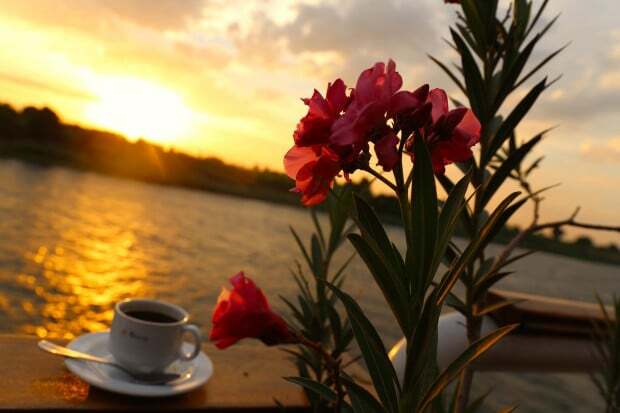 Hearts throb and souls are inspired in the early morn as the sun splashes across the Nile River. I indulged in my final Egyptian feast on the Old Cataract’s breezy verandah in Aswan as birds chirped, boats bobbed and palms danced gently to and fro. 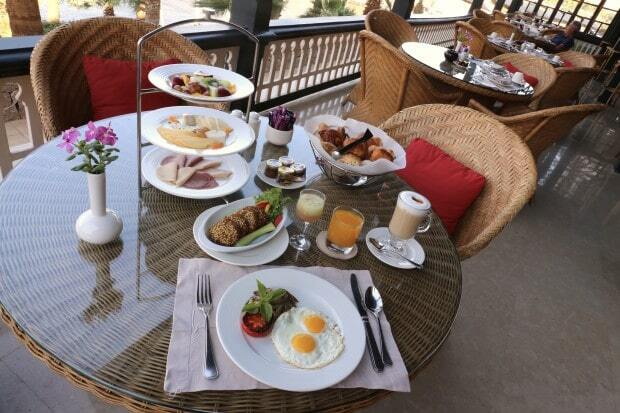 Relax while sipping frothy latte and freshly squeezed OJ…nibble on fresh fruit, selection of cheeses, charcuterie, crispy falafel, basket of baking and two sunny side up eggs. The hotel’s swanky pool is the place to be in the afternoon when the sun is at its strongest. 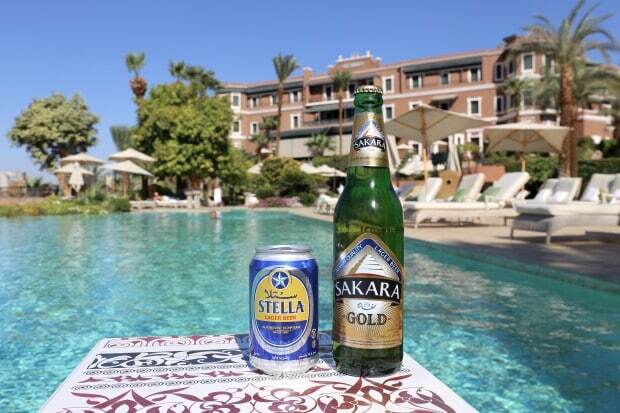 Throw on your swimsuit and pop by the bar to sip through Egypt’s two most popular beers, Stella Lager and Sakara Gold. After sunset the interior of the Old Cataract glows thanks to thousands of lanterns that flicker across the hotel’s cavernous walls. Before dinner pop by the lobby bar for a glass of bubbly. The manager wheels around a wee champagne cart filled with bottles from your fav’s Veuve Clicquot, Moet & Chandon and Taittinger. Carved out of a mountainside in the 13th century BC, Ramses II’s stupendous Sun Temple at Abu Simbel was dedicated to three of Egypt’s pre-eminent deities – Amun of Thebes, Ptah of Memphis and Ra-Harakhty of Heliopolis, but it is principally a monument to the might of the pharaoh. 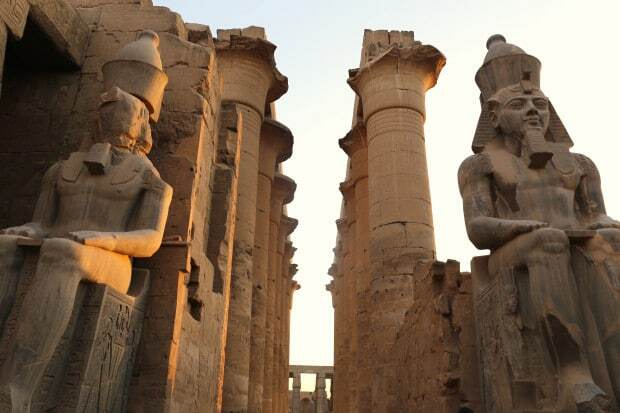 Located at the southernmost tip of ancient Egypt’s borders (present day Sudan) the four colossal statues of Ramses that front the temple gaze towards enemy territory as a warning to any who might approach. I woke up at 4am in Aswan to hop on a short 30 minute flight. Those looking to experience Abu Simbel on the cheap wake up at 2am and take a 5 hour caravan (escorted by military vehicle for security) which arrives later in the morning. 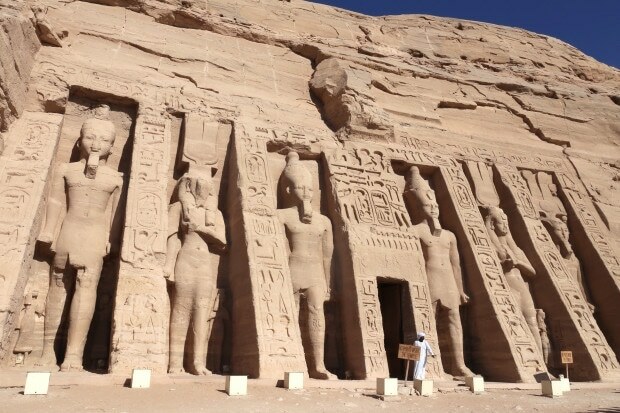 It’s the temples surroundings which make Abu Simbel so enchanting….warm wind wafts off shimmering Lake Nasser. You soon realize you’re in the middle of nowhere which makes this “take your breath away” escape all the more magical! super article on your Egypt travels! Thanks so much….your photos are fantastic! Wow Andrew!! What a trip! Fantastic blog!